Buying a car is expensive and it can be even more expensive if you live in a state that tacks on additional fees and sales tax. It can be significantly less expensive to own a car in certain states, such as Florida or New Hampshire, than in more expensive states like California or New York. Some of the cheapest states to buy a used car and own a car are Florida, Oregon, New Hampshire, Virginia, Ohio, Wisconsin, Missouri and North Carolina. Here's a look at why. 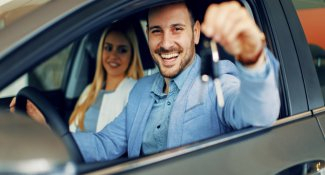 One of the first things to consider when purchasing a new car is the initial cost. The price of a new or used car is not standard across all states so shopping around and know the facts can be beneficial. When looking for a used car, Florida has some of the cheapest options available. As of 2016, used vehicles cost almost 10 percent less in Florida than they do nationwide. With an older population, more drivers sell their vehicles than in other states so there are more opportunities to purchase used cars at a more affordable price. Wealthier residents in areas like Miami also sell their vehicles more frequently so it is a buyers' market for several reasons in Florida. Plus, most of these vehicles have never seen snowy conditions and the salt used to melt the snow, so they are often in great condition. Initial cost is not the only factor to consider when purchasing a new car. There are multiple fees to keep in mind when purchasing a car and they can really add up. The initial fees that come into play when first buying a car will only run you up to a maximum of $130 in Oregon as of 2018, which is significantly cheaper than most other states. Those who reside in Alaska and New Hampshire also do not have to worry about exorbitant fees. The maximum in those states is only approximately $360. This compares to some of the more expensive states which can cost up to $2,350. Alabama, Arizona, Colorado, and Tennessee have some of the highest fees in this regard. The sticker price of the car and the associated fees are not the only thing to keep in mind when buying a new car. There are several maintenance and insurance fees to consider as well. New Hampshire has some of the most affordable fees. As of 2016, the one-time initial fee associated with the purchase is just $25. The average annual cost of ownership and using a car in New Hampshire, including auto insurance and gas costs, is $2,691. One of the great things about getting a car in New Hampshire is that there is no sales tax for vehicle purchases which can save you a lot of money upfront. Only four other states have no sales tax on vehicle purchases: Oregon, Delaware, Montana and Alaska. Insurance premiums are quite low in New Hampshire as well, coming in at approximately $941 annually in 2016, and an average of $337 a year for the cost of repairs. The initial purchase fees are not particularly inexpensive in Missouri, but the state does have some of the cheapest gas prices in the U.S. which lowers overall ownership and transportation costs. In general, Missouri residents pay less than the average American for the majority of car-related expenses including registration and title fees, as well as auto insurance and costs associated with upkeep and maintenance. As of 2016, North Carolina has a car sales tax of 3 percent, which is lower than most other states. Insurance is relatively inexpensive in this state as are registration and title fees. 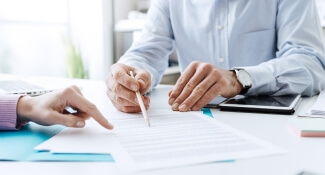 North Carolina is also an affordable place to buy and insure a new vehicle, but it is important to keep in mind that maintenance costs are particularly high so upkeep can cost you. Car ownership is particularly inexpensive in Wisconsin. With lower insurance premiums, car maintenance fees, and gas prices, Wisconsin has the second-lowest car ownership costs in the United States as of 2016. One-time purchase fees are higher in Wisconsin than in Missouri and North Carolina, but the lower ownership fees can offset this overall cost. As of 2016, the Ohio sales tax rate for cars is 5.75 percent. That's a bit higher than some of the other states on the list and can raise initial and overall costs. But the sales tax may be offset by the lower insurance premiums in Ohio, which are the second-lowest out of all 50 states, in addition to lower gas prices and car maintenance fees. Virginia does have some of the most expensive repair costs in the country so maintaining a vehicle can cost owners a significant amount of money. However, auto insurance premiums and gas prices are relatively inexpensive when compared with other states. The initial purchasing fees, including registration and title fees, are also cheaper in Virginia than in Ohio. It's important to realize that car prices can fluctuate and certain models of cars may be less expensive in some states for a variety of reasons. 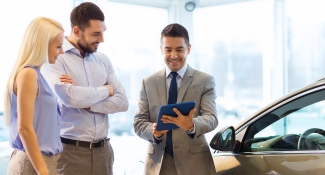 Knowing the make and model of the car you want can offer more opportunities for savings. For example, listing prices on Honda CR-Vs tend to be much cheaper in Maine and Delaware than in other states, while a Toyota Camry tends to be particularly inexpensive in Kentucky (probably because they're built there). The best deals on a Ford F-150 are often found in Missouri or Rhode Island. Although shopping in different states for lower prices can help save money, keep in mind that states have different registration fees and sales tax that can drive up the cost. Remember to factor long-term maintenance costs into your car budget as well! The overall cheapest state to buy a car in is New Hampshire due to the lack of sales tax and the low registration fees. Florida is a close second thanks to a wide variety of used-car inventory and because used cars can cost almost 10 percent less than the national average. Just remember: there is still a 6 percent sales tax on car purchases and much larger registration and title fees.